Why hello there Monday! Can I just launch straight into the home tour today? 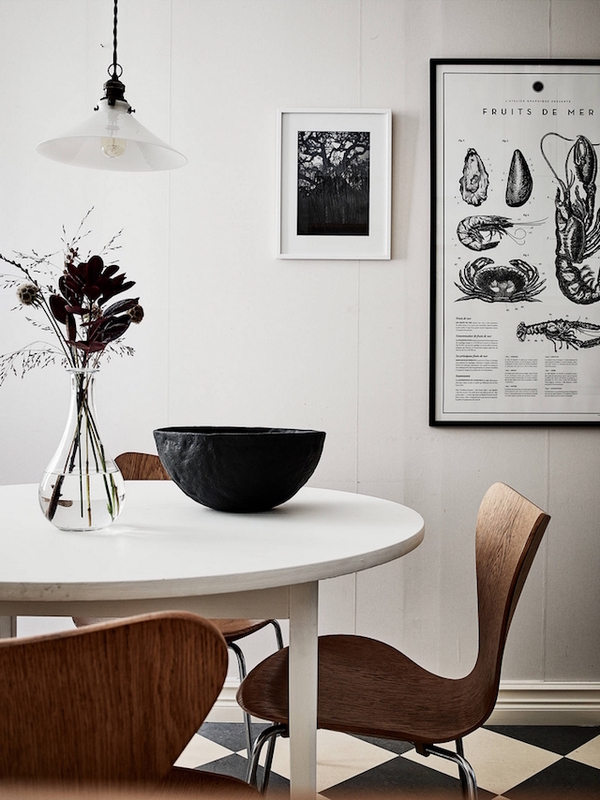 Only because I can't wait for you to feel the harmonious vibe from every room in this beautiful Swedish home. 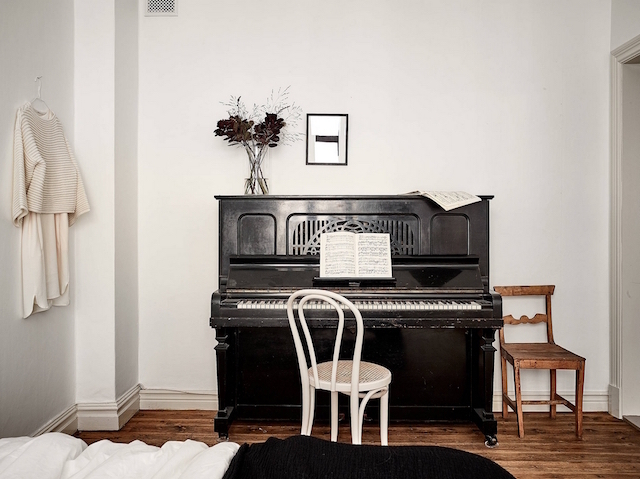 The soft serene tones, the cosy blankets, that piano. 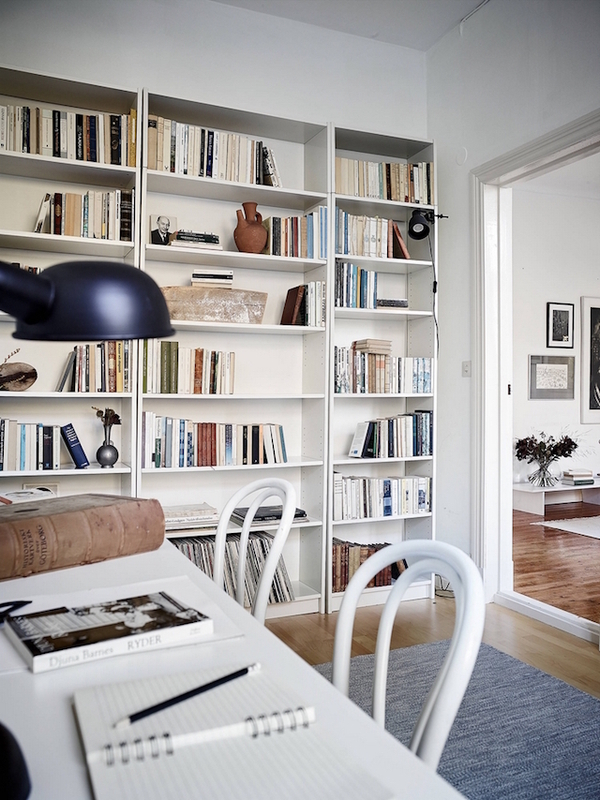 This space really is the perfect remedy for anyone having a hectic start to the week! Enjoy! 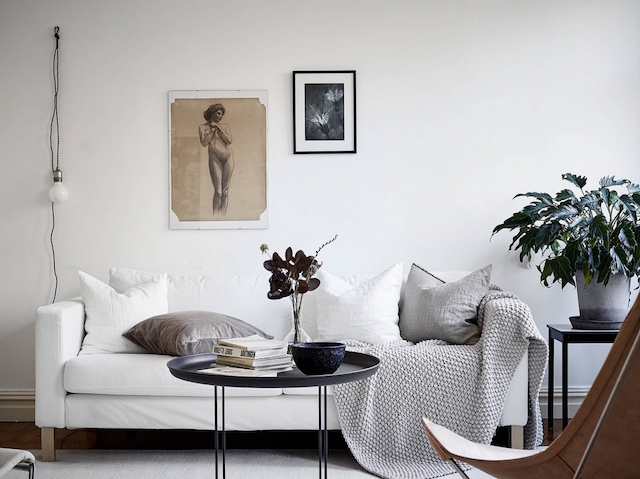 Credits: Photography: Janne Olander styling: Grey Deco for Stadshem found here with thanks. My favourite thing has to be that piano, how about you? One of my little girls asked if she could start learning to play the other day and as you can imagine I was overly encouraging (you only have to see this Pinterest board to understand why!! )- and then PB informed me that they learn on keyboards these days. Seriously?! Please tell me this is not so?! 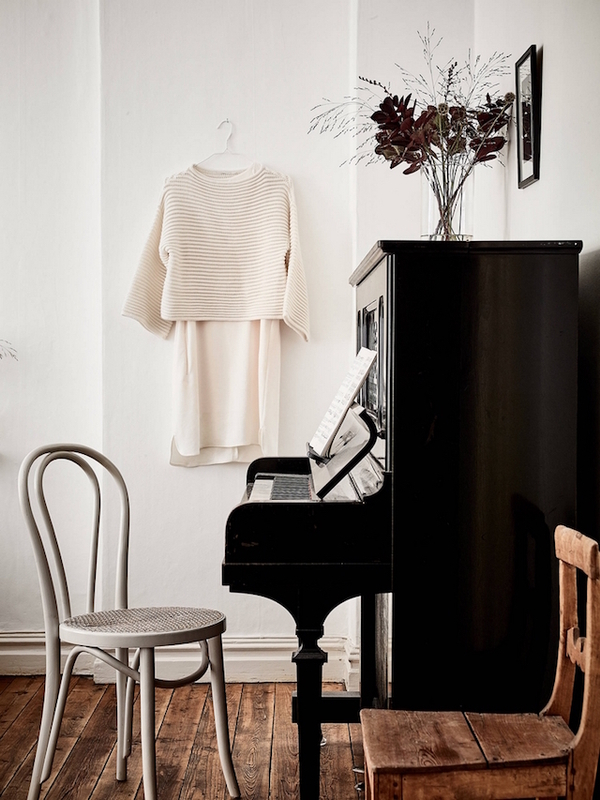 Do you have a piano in your home? 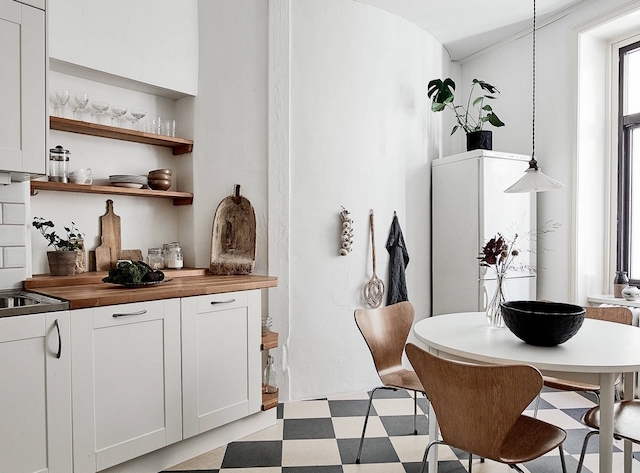 A few other items I know and love: kitchen: dough bowl (if that one is sold try here for other beautiful ones) series 7 chairs. 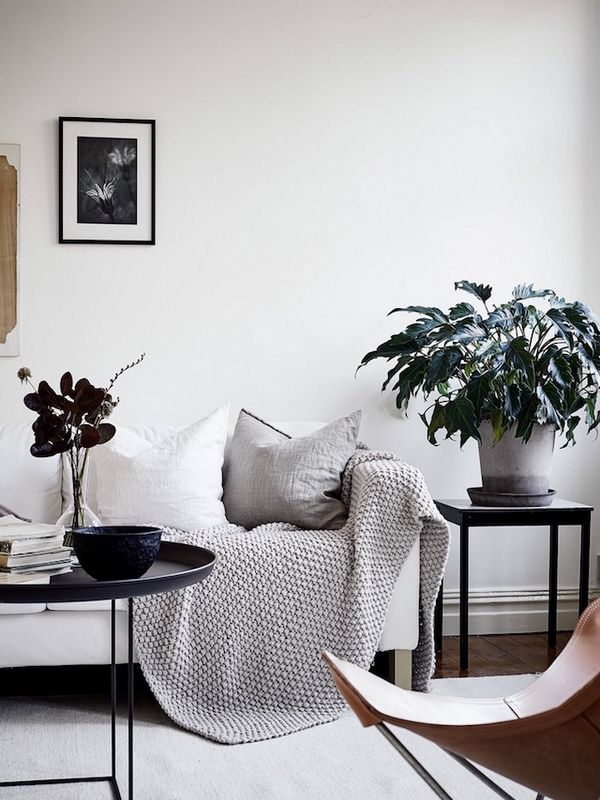 sitting room - blanket, linen cushions in muted tones, butterfly chair, karlstad sofa. 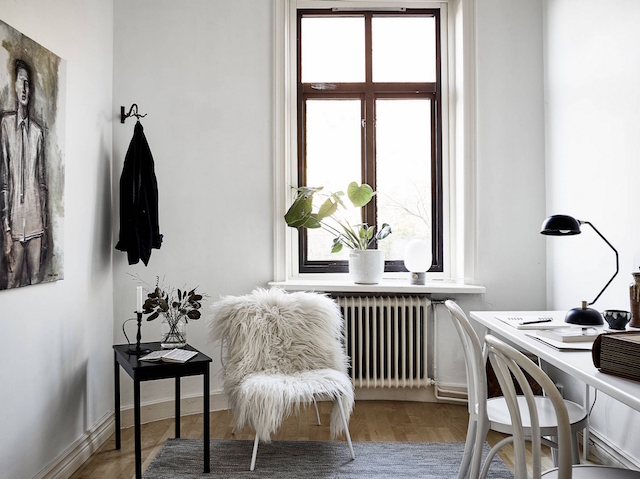 Office / bedroom: white bentwood chairs, sheepskin throw, lovely heavy weight linen throw in black. 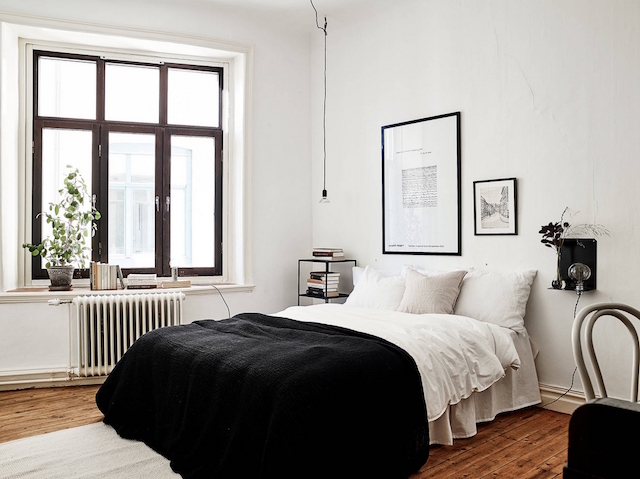 You can see more pics of this serene space over at Stadshem (it's for sale....yup!). Right now, I have a keyboard in my room, but my dream is to have a baby grand piano when I get my own house. I took lessons on a baby grand and the sound difference between that and a keyboard is amazing. it's gorgeous. but i have a mix feeling about white furniture. it does make the rooms look brighter, but i am afraid that they get dirty easily. Well, I expect that furniture that isn't white gets dirty just as easily, but it doesn't show it :) I usually need more colour in my life. Although I love this look, it isn't me. Niken - It's definitely easy to bulk at the idea of white furniture (especially if you have kids) but a lot of the IKEA furniture (this looks like one of their sofas) has machine washable covers. Susan - I hear you on the colour front! I do have a piano. I decided I would NOT listen to a beginner flute or a beginner fiddel in my home for the pure sake of sanitiy :-). But I wanted the kids to learn instruments, as it is part of a whole education. Also a piano seemed to me very logically designed regarding the theory of music. 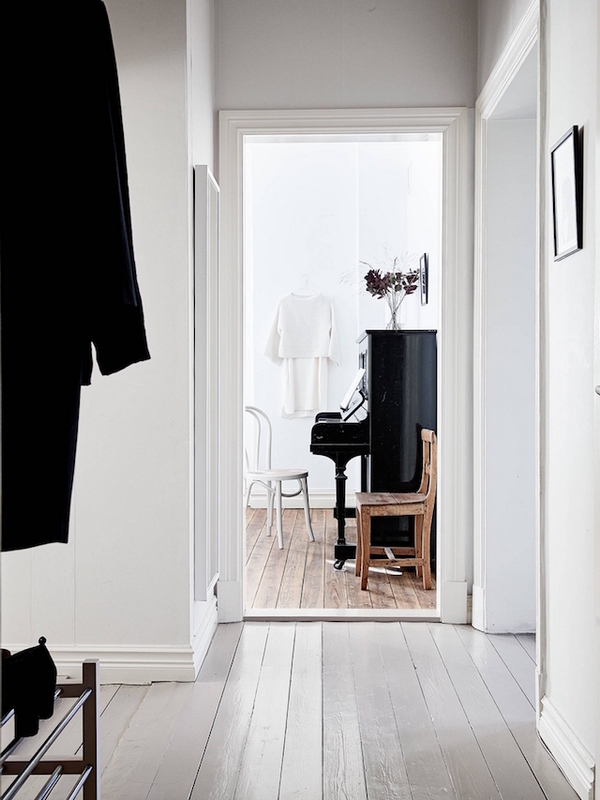 I bought a used piano just like the one in this beautiful home and it wasn't even expensive. We love it, but it's not easily tuned. So funny! I'm totally with you! My daughter's just started playing the recorder..... I hear piano's are massively heavy so you need a couple of heavy-weights just to bring it in the door and then another pro to come and tune it. But, by what you say, it sounds totally worth it and maybe it might just replace that recorder...sanity restored! It's such a lovely home, very calm. Same to you Nadia! Buy a real piano! Just as we learn language by hearing it spoken properly, listening to the proper tone of a real piano is much better for a student than an electric keyboard. A used piano can be reasonably priced.